Posted in: Uncategorized. Tagged: Coming out, Jason Collins, NBA, Sports Illustrated. If you haven’t seen SI’s May 6th issue on NBA free agent Jason Collins, then you may want to check it out here. 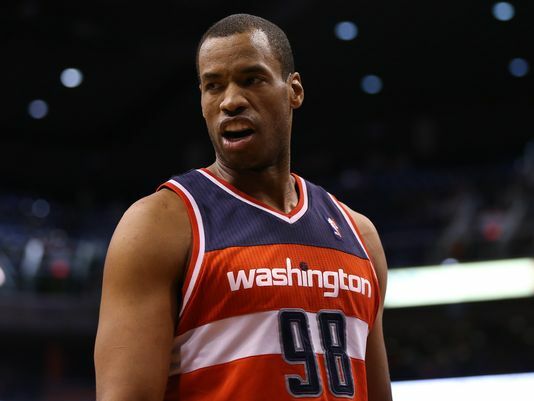 Jason Collins is a 34 yr old center from Los Angeles. He’s played for 6 pro teams and 2 NBA Finals. He has publicly pronounced that he is gay. He proclaims that he is the 1st openly gay athlete in a major American sport. Some of us “casual” NBA fans might not have ever even heard of Jason Collins, but it doesn’t matter. This is incredible. As a real world american teen, I can tell you that my peers will throw out the word gay as a funny insult. Like it’s nothing. My school performed a theatrical marching band show last fall and I was paired with a sophomore to do a “spin” routine to “add to the musical effect” (that’s a whole different story) and you know what? He was gay and open about it. I had never interacted with an open gay person before and honestly I was a little wary. Yeah, I was uncomfortable at first, I admit it. But this guy was brave. The more and more I saw what this guy had to deal with, the more I respected him and wanted to stand up for him. SO I DID. I don’t think Jason Collins did this for publicity. I think he did it because he knew it was right. Jason talks in his article about being jealous of open gays. How he wanted to stop telling the “half truth” and just say “me too”. I’m so happy for him because I think he feels better now. I hope he doesn’t let the minority of imbeciles get to him who will, no doubt, make a mean deal out of this. Go read Jason’s essay on SI.com, it’s worth it. I know this might not be comprehensive or relevant but I just wanted to free write after I was inspired by an amazing character.